I have had the distinct pleasure of taking this little man’s newborn photos, 6 month photos, and a lifestyle portrait and documentary shoot commemorating his 1st birthday. His parents love him so much that is for sure. Their joy and excitement for their sweet boy is evident every time we get together. It is always such a joy for me every time we meet! I feel so lucky when clients come back time and time again to capture their families. Adding to theirs story with my photos with each session. I offer so many package options that discount multiple sessions through baby’s first year. I also offer a 10% discount to all repeat client sessions so you can put together a package that suites your family through the years. Visit the pricing menu for options and info. I first met this amazing couple years ago, they hired me to capture their wedding day. It was an event as beautiful and unique as the two wonderful souls who married. You can view their wedding post here. 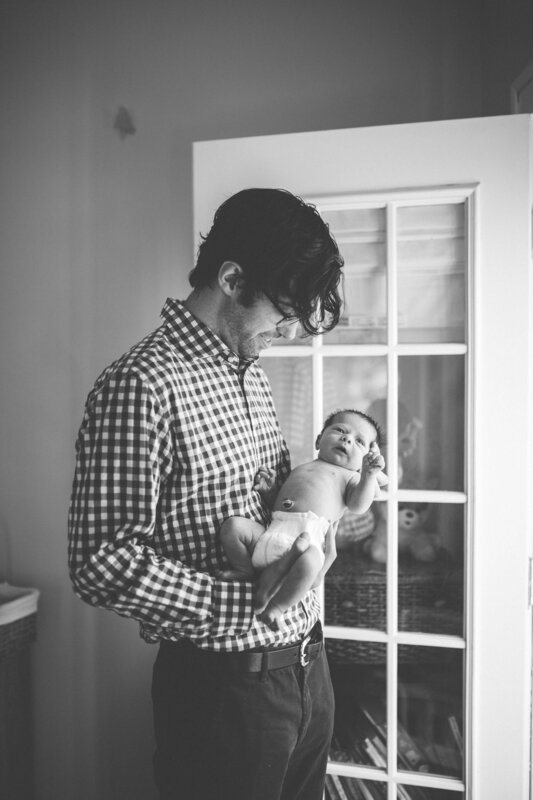 When Rebecca and Jordan contacted me to take the newborn photos of their son, I was honored. It means so much to me as a photographer to have the opportunity capture the different stages and exciting moments of returning clients lives. It is such a blessing to photograph the new chapters, adding to a family’s story. It was such a joy to meet this couple once again, now as parents. They have such a beautiful and sweet baby boy! If you are looking to capture the next chapter in your life, I am booking in-home and on location newborn, maternity, family and documentary sessions year round. If you are a former client interested in booking again, I am now offering a 10% discount to all returning clients. Such a beautiful little family! I am so lucky and grateful to capture new parents and their little ones. These moments fly by so fast, it is really important to remember to take the time to capture them. The investment in good pictures is well worth it! Booking in-home and on-location family sessions year round. Family sessions are so much fun! These kids had me in stitches. Such a beautiful day! Such a lovely session. Thank you to the Ramano’s for inviting me to capture their beautiful family! Sign up with your email address to receive the latest news, updates, and promotions.